. :: The Perils Of Show Jumping Sport - 12 ::. From Normandy in France last week to Calgary in Canada this week the WKD Team are certainly mounting up the mileage! Three horses flew to Calgary on Saturday morning and Sam and I arrived shortly after. However it was a bit of a shock when they opened the plane door and we were greeted with an icy blast of snow! 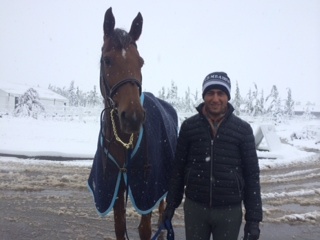 Wednesday morning saw us awakening to a scene of chaos outside - no power as the snow had brought down many trees - and Spruce Meadows was like a winter wonderland. 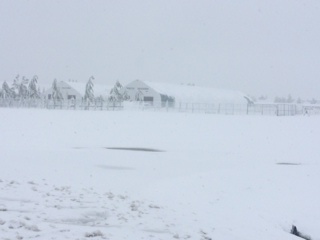 The organisers realised that for the first time in the history of Spruce Meadows they would have to cancel as the arena was under a thick blanket of snow and trees. The riders wrapped up well to keep warm and proceeded to try to work their horses in the small indoor; believe me, it was like driving in Egypt where there are loads of cars yet little space!! I worked Suma’s Zorro who doesn't like to share her personal space at the best of times and it was like a real life video game dodging in and out the other horses and heading for any gap! 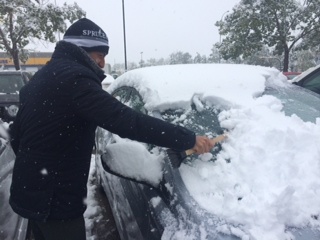 Thursday was bright, sunny and cold, and after a lot of work from the organisers and a crowd of volunteers armed with shovels the arena was cleared ready for use. 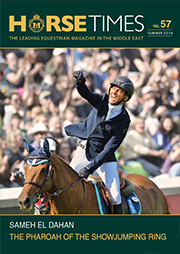 As the previous day of competitions had been cancelled, it was decided to make two 150 classes and a 160 class - all Speed Classes to give everyone a chance to ride all their horses - and also the 1.5 million dollar Grand Prix on Sunday was now made open without qualification. So it was all geared up to be some very fast classes ahead! Sam had Lady’s Queen, our brown 10-year-old mare by For Pleasure in the first class and she jumped a lovely round with just one rail down; very impressive as it was only her second 150 class and also her first time in the big, intimidating main ring. Next up was WKD Pepperpot who produced her usual flawless results, eventually ending up in fifth place in an extremely fast class won by Eric Lamaze for the home side with the fantastic Fine Lady. Last class of the day was the 160m - and with a now 210,000 Canadian dollars on offer it was a meaty enough track with plenty of questions set by course builder Leopoldo Palacios. 49 went to post and it turned out to be a very fast class with plenty of poles falling - especially the maximum Rolex vertical near the middle of the course which caused heartbreak for many of the riders who were well up on the time - including Sam and Zorro who were among the many four faulters, while the eventual winners Lauren Hough taking the lead from second placed Kent Farrington. 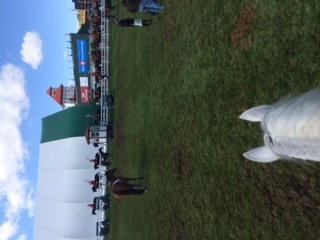 We’ll soon know - and hopefully the WKD horses - Pepperpot and Zorro will be in the jump-off!! !